I arrived in Israel during a very emotional and political time. While Tel Aviv celebrated Netta’s victory in the Eurovision song contest, there were dramatic tensions in Jerusalem and Gaza. Against any prediction on my part, passing immigration and customs authorities was affable and swift, thanks to the logistical measures taken by the BvLF team in Israel. Tel Aviv impressed me by its resemblance to Recife, the capital of Pernambuco and coincidentally the site of the first Jewish settlement in America, its first synagogue and the first place of persecution by the Portuguese Inquisition, which in turn led many to migrate to Amsterdam, some others to start the first Jewish colony in what today is New York, or alternatively to assimilate into the Portuguese Christian community of Recife. Urban95 fits well in Tel Aviv. As stated in his welcoming speech by Mr. Menachem Lieba, Director General of the municipal government, Urban95 is not a programme or a project, nor even a department. Urban95 is a way of life. 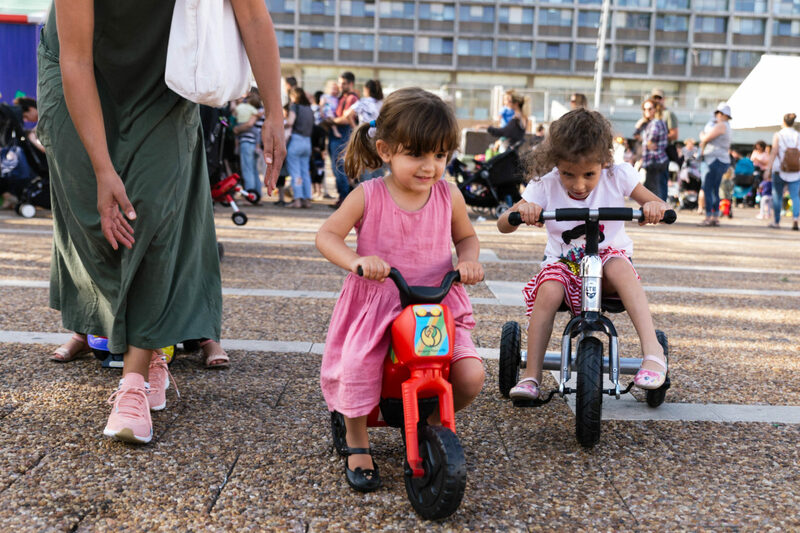 Including adequate spaces for families with young children, facilitating their mobility and bringing services closer to families is inseparable from any investment made in the city. 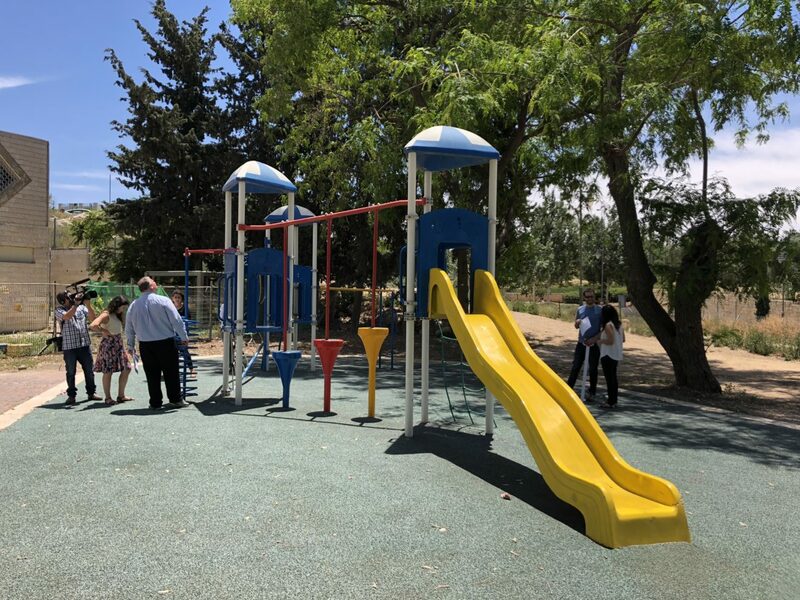 The city has high quality models of care and educational services for young children integrated to surrounding green areas, such as the community park initiative near Yad Eliyahu Preschool Complex and the Levinsky Preschool Complex, an early childhood centre for immigrants that we visited. But what I found more interesting was that the parks were not necessarily the most innovative feature of the city when it comes to Urban95, but rather the fact that the whole city is built like a big park. The city draws attention for its trees, its aesthetic designs without excess, and the European liberal lifestyle. The city is crossed by two large green trails and a waterfront along the beach, with tracks for bicycles, skateboards and pedestrians, urban furniture for resting, and accessible activities disaggregated for recreation and culture. And the most interesting thing is that these places are really crowded by families, many of them with babies and toddlers for a good time of the day. As Tel Aviv is one of the global capitals of state-of-the-art technology, I could expect its use on the implementation of policy and programmes. One example particularly called my attention: DIGITAF, an information platform that allows taking the pulse of the movement of families with small children and also mobilises them with great effectiveness in events designed to promote meetings between parents with children in public spaces. The use of social networks such as Facebook and WhatsApp to align existing services with seasonal programmes facilitates direct and rapid communication with families. 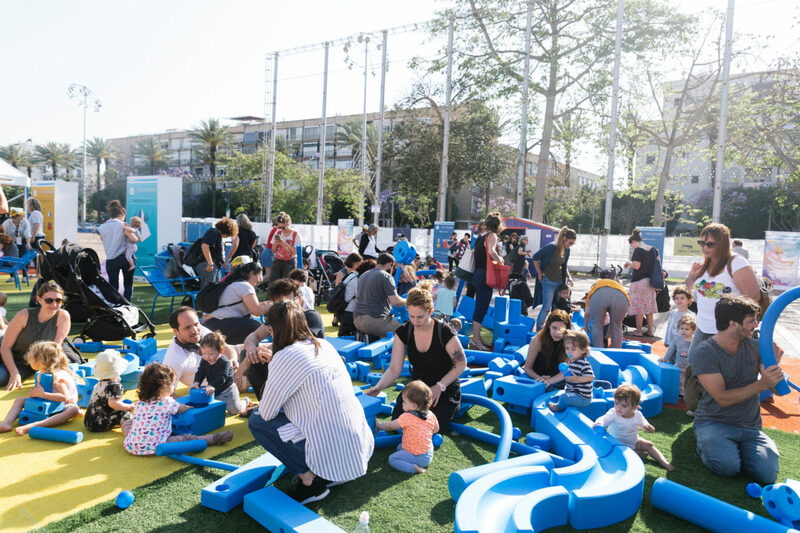 For three consecutive days we saw scores of families congregate in Rabin Square, in the centre of the city, to celebrate the Urban95 ‘Play in the City’ event with their children. It resembled a busy beach on Pernambuco. Despite the short distance from Tel Aviv to Jerusalem, the feeling is that one is traveling back in time. Large groups of parishioners dressed to mark their respective religious beliefs create the feeling of being inside a gigantic temple. In contrast to the often politically incorrect verbal interactions tolerated in large South American cities, moderation, formalism and respect among citizens seems the norm. In addition to an interesting historical tour of the city with an excellent local guide, the visit to Jerusalem included participation in a workshop of the Peer Cities Network, facilitated and organised by the Hebrew University. The main purpose of the meeting was the dissemination of a tool to evaluate the properties of parks based on their contribution to early childhood development. In my opinion, this instrument can serve as a pedagogical tool to sensitise professionals outside the field of child development in regard to the selection of furniture when designing parks for young children. I also observed that the comparison of notes between actors from different cities brings a positive climate of cooperation and inter-learning. Such encounters stimulate the development of new ideas, the design of new resources and the validation of good practices. I was gladly surprised by the interest that the Colombian initiative of Urban95 aroused among professionals working in vulnerable villages and communities in Israel. These meetings between leaders and implementers to learn, copy or be inspired by others or to simply confirm the value of their own good practices seem to have a great effect on the decisions that are made. The desire to show their individual achievements in their respective cities, and the opportunity to be influenced by foreign concepts and practices, are immediate and dynamic. Even though the demographic and socio-economic composition of Israel and Bogota are quite different, an exchange between the Urban95 initiatives of these two countries can prove productive and enriching. The use of technology and low-cost investments in Israel could inspire Latin American cities to design programmes that rationally distribute their resources in larger areas without incurring unpayable debts. On the other hand, the solutions tested by South American municipalities in large areas of great deprivation and poverty could give ideas to Israeli leaders committed to guaranteeing a just start to children growing up in vulnerable populations and communities. Building a partnership among cities with the involvement of municipal governments and civil society could be a promising way to spread the basic concepts of Urban95 across continents.